Neck lift or platysmaplasty, improves the appearance of your neck, by reducing sagging skin as well as addressing wrinkles often caused by aging or weight loss. The Neck Lift repairs the excess fatty deposits under the chin and tightens the underlying muscles to provide patients with a smooth, contoured jawline. Dr. Michael K.Obeng will make a traditional incision beginning at the patients hairline, continuing around the ears. The fat and loose tissue will be re sculpted, redistributed, excess skin is trimmed away. Dr. Michael K.Obeng will also tighten the platysma muscle to support the skin. 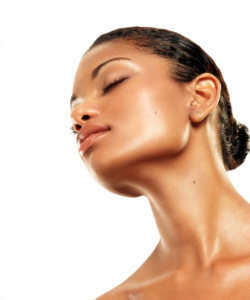 The cost of neck lift surgery or platysmaplasty varies depending on the patient’s goals. Please contact us and schedule a consultation with board certified plastic surgeon Dr. Michael K.Obeng. MiKO Plastic Surgery, Beverly Hills will accommodate the most accurate cost estimates for your neck lift procedural needs. If you’re not in the Beverly Hills or Los Angeles area, visit our travel section to arrange a trip to MiKO Plastic Surgery. The Neck Lift procedure may take about 10 days for pain, swelling, and bruise to subside. After the neck lift, Dr. Michael K.Obeng will apply a bandage around your face and neck, this is to help to minimize swelling. Recovery time for a neck lift procedure is about 1-2 weeks, bruising usually fades within the first weeks after the operation. Most patients can return to their daily activities 3-5 days after the procedure.